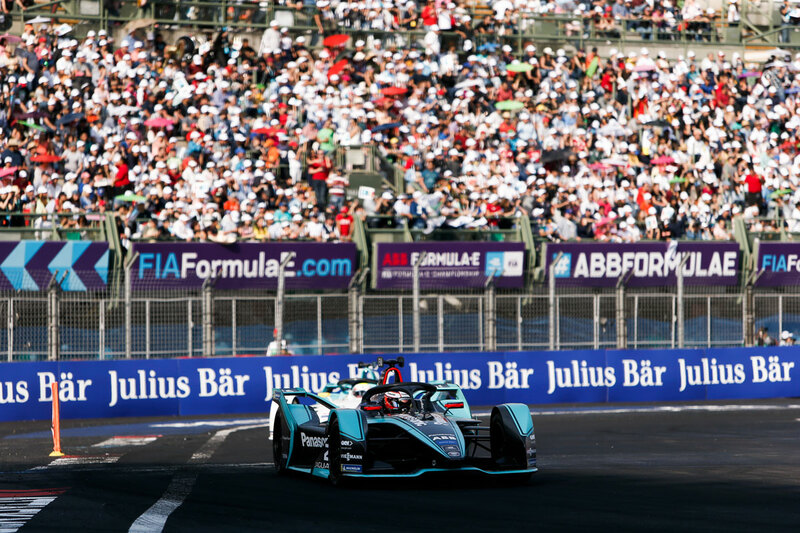 Major cinematic spectacle of the suspense thriller type: that’s Season 5 of the ABB FIA Formula E Championships. Each race more exciting and varied than the one before. In Mexico, for example, victory and defeat were decided in the final few meters. 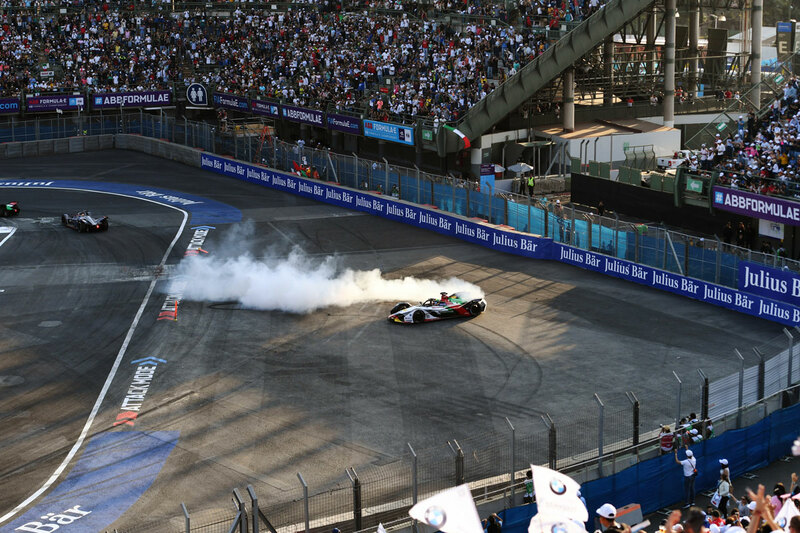 Even motorsport veterans such as Audi motorsport boss Dieter Gass says: “I’ve never seen anything like it.” The key scenes which took place during the Mexico thriller which gave us the fourth winner in the fourth race of the season. And in the fourth team. Pascal Wehrlein (24) made an immediate impression after joining Formula E. At the Hermanos Rodriguez autodrome the Mahindra driver–who missed the first race of the season in Saudi Arabia in December, having been refused permission to take part by Mercedes to whom he was contracted until 31.12.2018, was clearly the fastest man: firstly, with his pole position, the result of an outstanding qualifying round, and then by taking the lead, and staying there right from the go until less than 10 meters from the finishing line. But then Lucas di Grassi squeezed through between Wehrlein, whose Mahindra car had run out of power, and the pit walls. 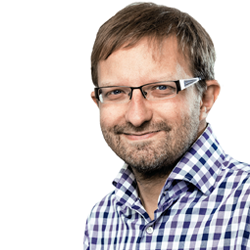 And then the German driver received a five second penalty for cutting a corner on a chicane which, in this highly contested Formula E series, meant immediately slipping down the rankings to 6th place. “Even so, apart from the last lap, I’m happy,” said Wehrlein, who also spent lots of time in Upper Austria during his years as a junior driver. If Wehrlein had crossed the line first, he’d have gone to the top of the championship rankings, even having missed one of the first four races, as well as being bumped off the circuit in Marocco through no fault of his own–by Lucas Di Grassi, of all people. PS: In his other job, Wehrlein is now a development driver with the Ferrari Formula One team. His commitment was at the behest of Sebastian Vettel who’s most impressed with his fellow German driver. And he’s not the only one. 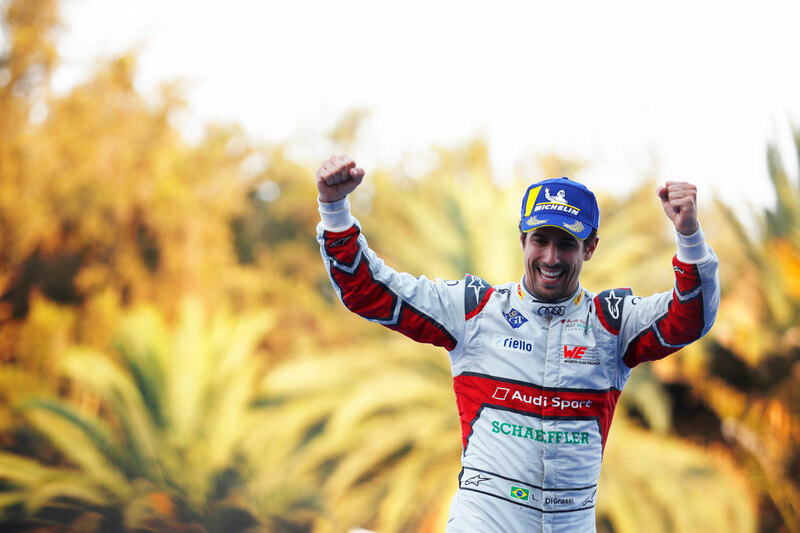 Lucas di Grassi spoke openly after the race in Mexico: “That was the best race of my career!” Even considering his spectacular win in Mexico two years previously where he raced to move up from 16th place to clinch the win. 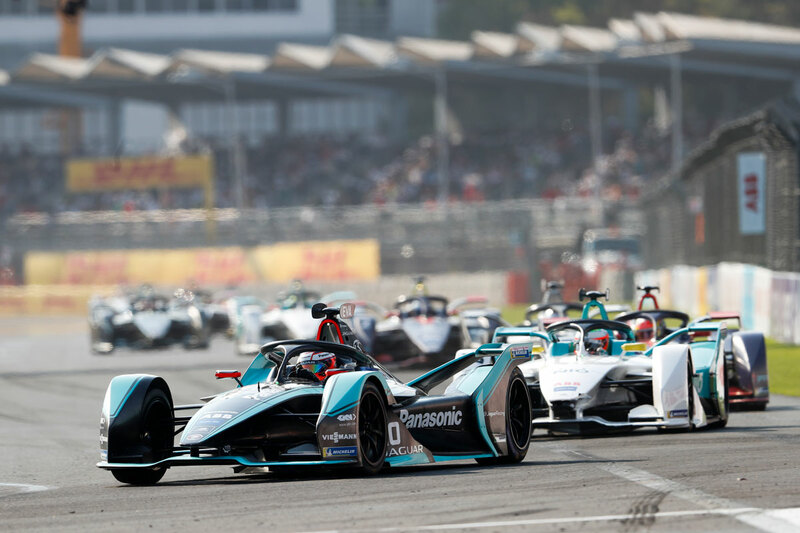 This time his skills lay in his perfect energy management: while Nissan drivers Rowland and Buemi, like Wehrlein, ran out of power, Di Grassi crossed the line with just 1% capacity left: “I knew Pascal would run out of power. You just have to be really economical with energy at the beginning.” Di Grassi’s motorsport boss at Audi, Dieter Gass, is also impressed: “I’ve never seen an overtaking manoeuvre like that, practically on the finishing line.” And Gass is familiar with Formula One, DTM, and the WEC. "That was the best race of my career!" OK, this heading is certainly exaggerated, but even so, Nelson Piquet’s “flight” in his Jaguar was still cause for excitement. 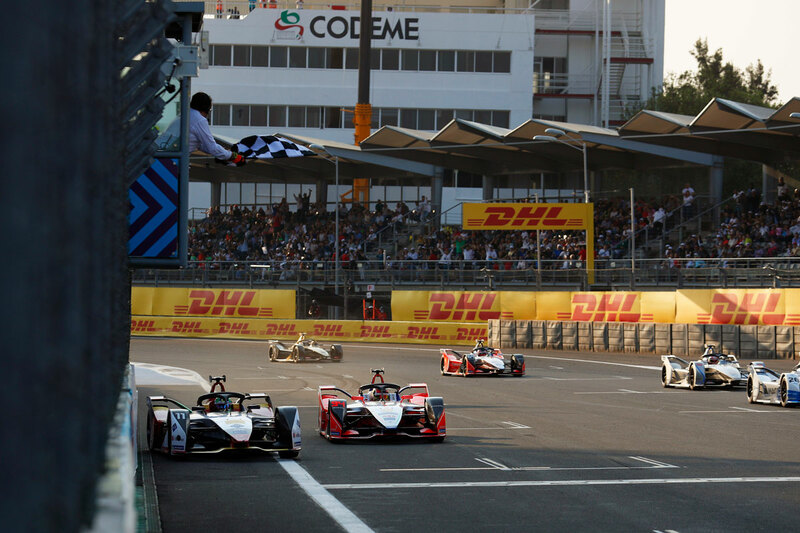 The Brazilian had bumped into Jean-Eric Vergne’s car and was catapulted through the air: “I thought he’d brake later!” Luckily no one was injured, but the race had to be stopped for a short time, and the red flag waved for only the second time in Formula E history. Jerome d’Ambrosio was clearly overshadowed by team colleague Pascal Wehrlein on this race day, yet he still had a sensational race, even if it went unnoticed by many. The Mahindra driver stormed from 19th place up to 4th. That makes him the championship’s leading driver as the series heads to Hong Kong for the next race on March 10. Who’s afraid of Susie Wolff? The ascent of the Venturi team was cause for applause from all the drivers. Low down in the ranking in the first two races, Venturi was extremely strong both in Santiago and in Mexico. Susie Wolff, the only female team boss, had worked hard, as had her drivers: Edo Mortara came third, and Felipe Massa eighth, after achieving third place in qualifying. Wolff is very impressed with her Brazilian star acquisition: “You underestimate Felipe at your peril. He’s an excellent driver, and his experience is hugely valuable for the team as a whole.” The two know one another well. They were former colleagues in the Williams Formula One team.